ArdhenduHazra, a 12 year old boy was referred to Susrut from a vision centre, and the boy came with both his eyes deviating inwards; alternately. A resident of Lakshipur, West Midnapore, he had no trouble in seeing things. But his appearance was compromised, because of which he often got bullied and laughed at by his friends in school and neighbourhood. Gradually he stopped talking to everybody. Ardhendu has 6 family members and his father is the only earning member. So, the surgery was done free of cost after which; slowly and slowly, no such cases of Ardhendu getting bullied were reported. Sheikh Sajid Ali, 4, wasn’t being sent to school by his mother because she complained that he kept hitting everybody. This was probably because he had poor vision in both of his eyes due to congenital cataract. He came to Susrut with his grandfather and was diagnosed with congenital cataract in both eyes. He was advised Phaco with foldable non-aspheric IOL. 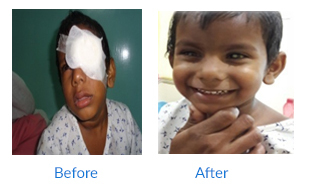 After the surgery was done, his vision has improved with time and his parents are planning for getting the next eye done. They are also looking forward to send him to school. 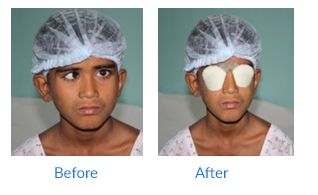 A 16 year old boy, KarimunMondal had poor vision in both his eyes since 5-6 years. He came to the hospital with his mother as the teachers persistently complained about his dropping marks and interest in sports. He himself, also kept complaining about difficulty in seeing nearby objects too. 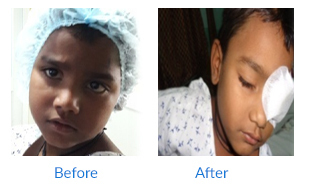 When he came to us, he was having cataract in both eyes. He was advised to get his Right eye done first. 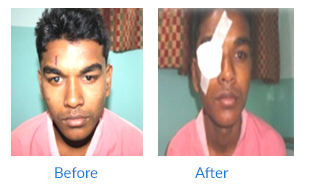 Soon after the surgery, he was quite happy as his vision has been improving bit by bit and he is able to do nearby works. In the year 1998, Dr. Sunil Chandra Bagchi and Dr. Ratish Ch. Paul founded Susrut Eye Foundation & Research Centre with a motto to eradicate blindness and make this world a beautiful place to those who are still in darkness.